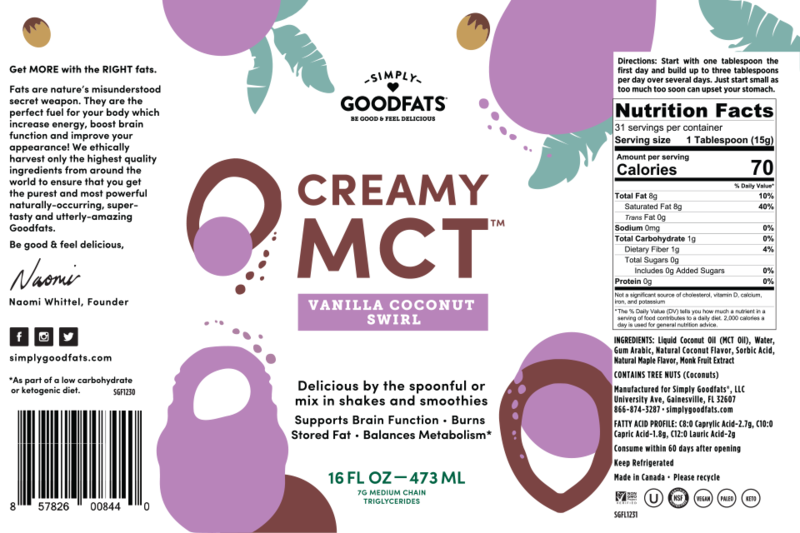 Vanilla Coconut Swirl Creamy MCT (medium-chain triglycerides) contains your brain and body’s favorite food. Specially blended to provide easy to use fuel, Creamy MCT (emulsified MCT) is a decadent, super tasty and convenient way to include these incredibly beneficial fats in your daily life. Take it by the spoonful — it’ll fire up brain cells, burn stored fat, spark your metabolism and calm cravings. A flavorful addition to shakes and smoothies, you can even make crème brûlée! Try it anywhere you use dairy and get the nutritious, satisfying fats your brain and body crave. Inspired by the classic Mounds candy bar, you’re going to do hand-springs over the scrumptious taste of this delicious smoothie. 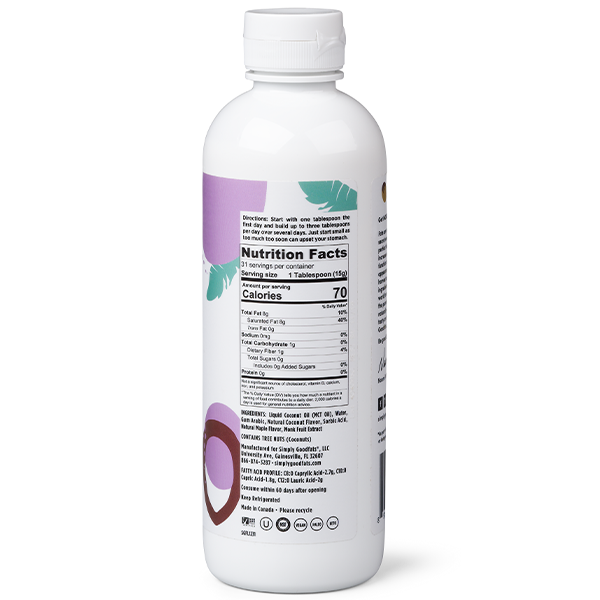 I use the vanilla coconut first thing in the morning in may AM smoothie. I am full and satisfied until lunch time. The taste is great and it adds a creaminess. Considering buying the orange flavor too. This product makes me feel like I’m not on a diet! It is so decadent I feel like I’m cheating but I’m not. Love, love, love! My weight loss using high fat started a year ago. I constantly look for new ways to up the fat in my diet. 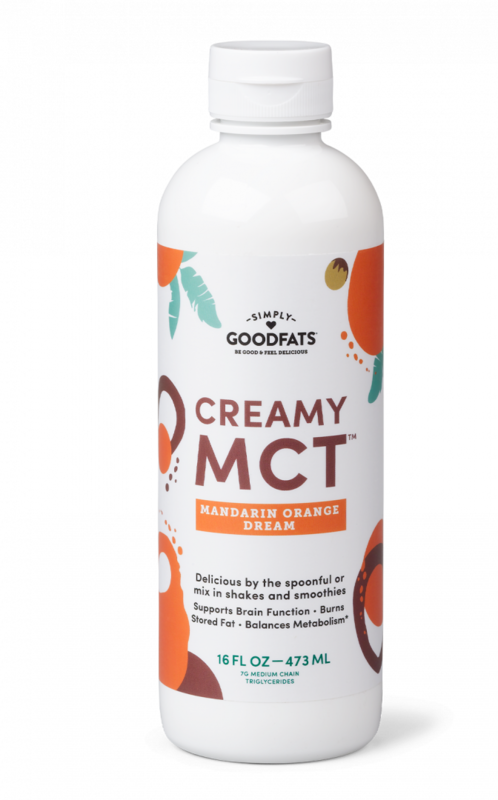 Creamy MCT is the latest addition to my arsenal. Variety is important to make sure I keep this weight off. It is awesome! Baking is my passion. When I went keto it was hard to find tasty recipes that followed the rules so I started experimenting. 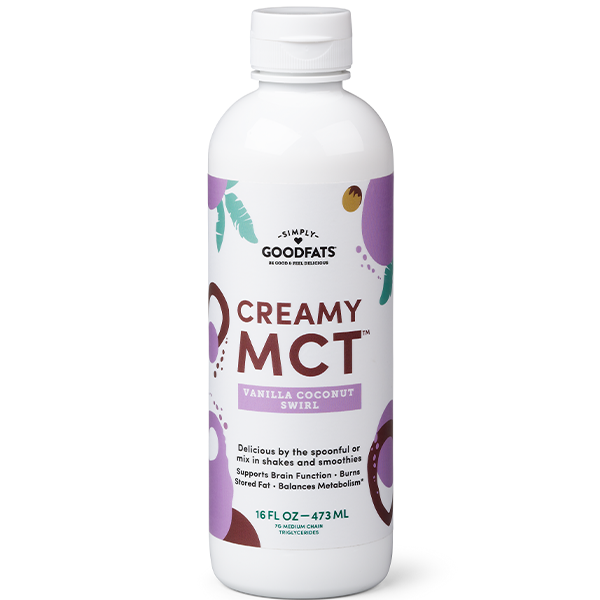 I just bought this product and used it in Crème Brulee. So delicious!